The "Brownsville (TX) bup" has been slowly extending its range northward in response to warming temperatures. These little guys feed on hackberry, soapberry, granjeno (desert hackberry) and other woody plants in the family Ulmaceae. There are over 700 species of Buprestidae in North America. Buprestid beetles are similar to click beetles, but without the "click" mechanism or the sharp projections at the corners of the pronotum. 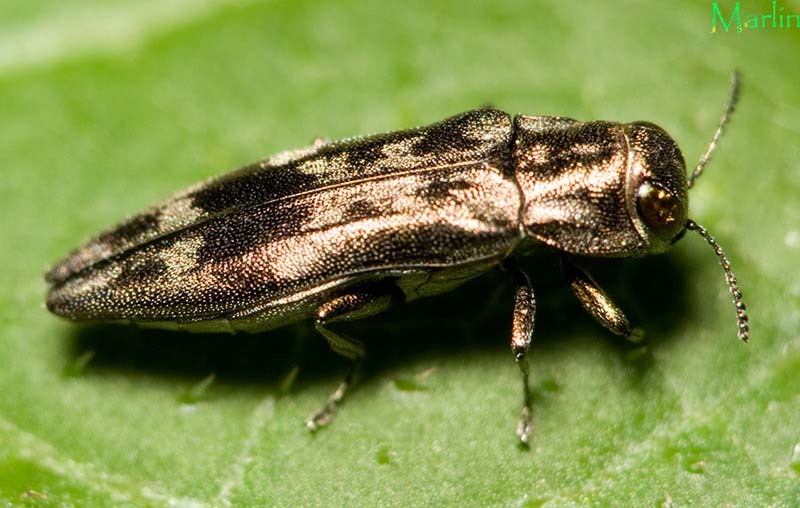 Buprestid larvae are called "flatheaded borers". They live in bark, wood, and sometimes the leaves of various plants. Currently, the Emerald Ash Borer is the Buprestid of the moment here in the American Midwest. 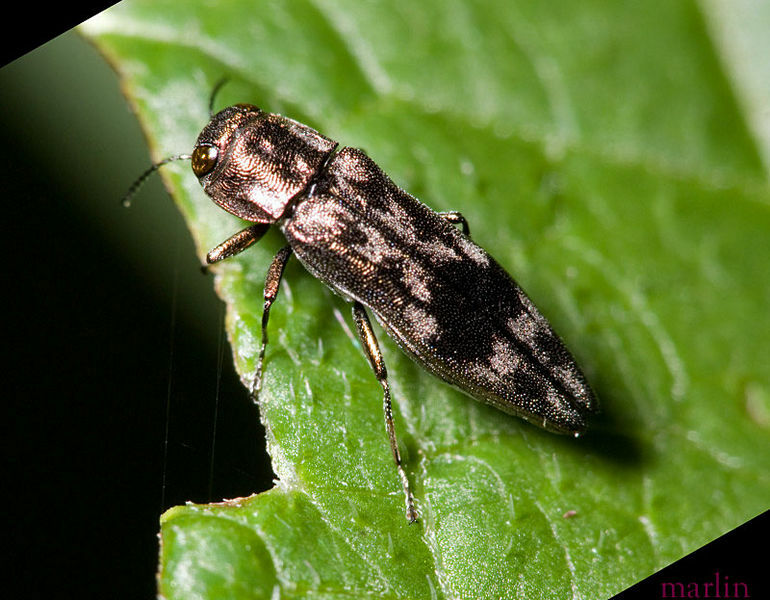 Identifying characteristics for the family Buprestidae include: First abdominal sternite entire, not divided by hind coxae (suborder Polyphaga), Hard bodied, elongate-slender to elongate-robust beetles, ranging from 2 to 40 mm in length. Many species metallic or bronzed in appearance, especially on the ventral surface. Antennae usually short and sawtoothed.